My book has a cover! 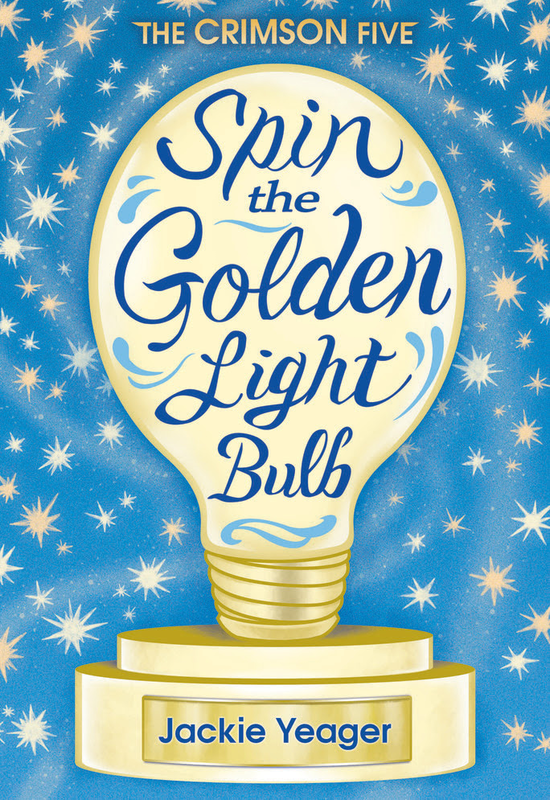 The first in THE CRIMSON FIVE series, Spin the Golden Light Bulb has a bright, sparkly, illuminating cover! And I couldn’t be more excited to share it with you! I dreamed forever of what my first book cover might look like and now that it’s real, I’m in awe. Gabrielle Esposito, the Illustrator who created the amazing image, captured the essence of the Golden Light Bulb in the story perfectly. The moment I received it from the Amberjack team, I was blown away. I felt a little like Kia Krumpet did the first time she saw it in the story; the first time she set her sights on winning it; the first time she imagined all that would be possible if she could only have one of her own…her very own Golden Light Bulb. I’m so glad I can finally share this shiny cover with all of you. It represents so many things to me, like the fact that winning isn’t everything, but having a goal to work towards and believing you’re capable of reaching it definitely is. And sometimes it’s what you do after your reach that goal that matters the most. But even more that that, this cover represents personal affirmation that perseverance pays off, and my own dream really is coming true! It’s been torment keeping all its sparkly golden-ness a secret, and now that you’ve seen it, I’m even more excited for this January when you can read the pages inside. I can’t wait for you to meet Kia and the rest of the Crimson Five characters…and find out what’s so big about winning a Golden Light Bulb anyway! A heartfelt thank you to the Amberjack team for their vision, and also to Gabrielle for creating this gem for my first middle grade book. 🙂 If you’d like to see more of Gabrielle’s work, go to her website at http://www.gabrielleesposito.weebly.com. Her illustrations are amazing! She created the chapter illustrations as well and seriously guys, I have no words. They are just that good. I’ll share those soon so keep checking back.! I hope you love this cover as much as I do! Thanks for celebrating it’s reveal with me. All of you make this journey wayyy better than I ever imagined.